The calendar? July 29, 2016. We want to make sure that all of the artists who have committed to participating in CompArte know and feel our admiration and respect. But also, and above all, we want them to know of our conviction that in the dark hours of the present and the dark hours to come, their work and creativity will be required to find the path that we, humanity as a whole, want, need, and deserve. When we speak of darkness, we are not only referring to the horrors that emerge and destroy all across the suffering world geography. We are also talking about the political and economic mercantilism that, without really caring much about the actual deaths and tragedies, pounce on the still-warm cadavers of the victims in an attempt to take advantage of and profit off their misfortune. If the machine imposes a perverse logic in which every tragedy numbs rather than enrages, perhaps it could be the Arts that remind humanity that people not only kill and destroy, impose and dominate, humiliate and doom to oblivion, but can also create, liberate, and remember. Don’t even the most heartbreaking and painful artistic works throb with life and liberty? We as Zapatistas think that it is wonderful that there are artists who know how to bring forth, from the depths of the darkest calendar, a light for humanity. We don’t want to make you feel as if you owe anything to anyone—not submission, nor loyal following, nor unconditional support. We do not seek your votes nor your vetoes. We only want to tell you that in this world that we watch from the lookout’s post, we see you. Or better yet, we see your art. That’s what we think. Yet we see that these words cannot begin to describe our ideas and feelings. We want to greet and honour you for what you are. Not as militants of the causes that populate the world with their various colours and symbols, but rather as the path in which we can make out a better, more human, more dignified tomorrow. We Zapatistas don’t look up above. We only lift our eyes and ears in front of the sciences and arts. And it isn’t fear and obedience that raise our gaze. It is the wonder of knowledge, the marvel of the arts. That is why we have organized ourselves to present a very abbreviated version of what we prepared for CompArte. We have done this with the sole purpose of trying to let you know how great we Zapatistas think you are. We know that the compas from the Sixth and part of the artistic community in Chiapas—with the always active commitment of the compas at CIDECI—have continued preparations for CompArte to take place at CIDECI, July 23 through 30, 2016. We truly hope that this celebration will be as brilliant as your artistic works and that during these calendars of dark despair, and despite the long night imposed from above, another wind will blow through this corner of the world. Whether in the fleeting moment of a song, the stroke of a painting, a dance step, a photograph, a scripted dialogue, a poem, a whatever, let the hour of the police be defeated and for just a moment, let us breathe in the possibility of another world. So then, taking advantage of the fact that some people (not all, we know) will be creating art in CIDECI over the course of those days, we want to invite you [invitarlas, invitarlos, invitarloas] participants and observers to Oventik on July 29, 2016. From 10am to at least 7pm (national time) we will be performing theatre, dance, music, poetry, painting, thinking, and perhaps even riddles. Although it is only a small part of what the communities prepared for CompArte, the five caracoles that encompass the Tzotzil, Chol, Tzeltal, Tojolabal, Zoque, Mame, and mestizo Zapatista communities will be represented. 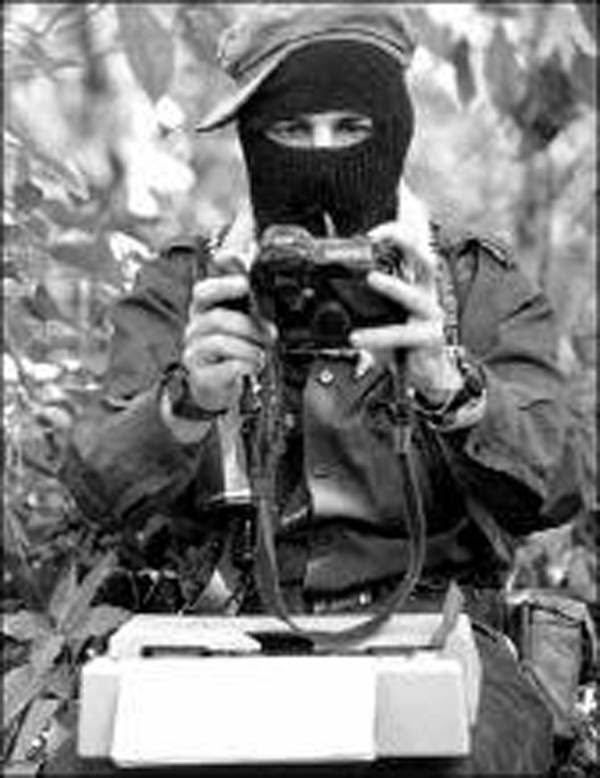 Even on short notice, the Zapatista compas have prepared to celebrate, in your honour, life and freedom. It won’t be everything we had prepared, but it will be something significant: a gift we want to give you. Maybe you’ll like it, maybe you won’t. But we are sure that you will find here sounds, colours, lights and shadows that have as their only goal to let you hear, see, and feel the “thank you” with which we embrace you. The Zapatista artists will perform on July 29 and will return to their communities on July 30. That’s unless someone invites them to attend the last day of the CompArte festival in CIDECI. In that case, they will make a stop in CIDECI to learn a little from you all. The calendar? July 29, 2016, from 10am to 7pm. Maybe it will rain, maybe not. Maybe it will be cold, maybe not. But here we are, here we will be. Because it is in this corner of the world where we must resist and struggle, but it is only our temporary home. Our great house, in our dreams and in our tomorrows, is, has been, and will be the world that, with others [l@s otr@s], we will create. Indeed, we are always hoping to see you here. The mountains of the Mexican Southeast.